WELCOME TO OUR TROPICAL GARDEN where amazing flora & fauna abound! Praise and thank God for these wonders! Do explore our garden resource, plants database & encyclopedia, plus captivating photo galleries of nature in Malaysia. 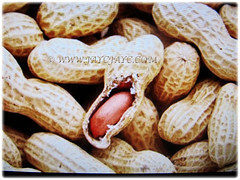 Groundnut or Peanut is grown for its edible seeds and its oil, making it one of the important oilseed crops in the world. It’s also a major food crop species of global importance. Peanuts serve not only as a favorite food product for humans, but also are commercially used in the production of a number of non-food items such as textile materials, cosmetics, plastics, dyes and paints. Botanical Name: Arachis hypogaea (syn. 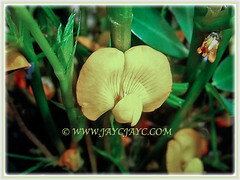 : Arachis nambyquarae, Lathyrus esquirolii). 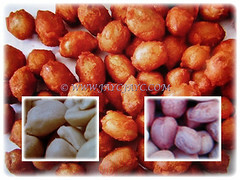 Common Names: Groundnut, Peanut, Earthnut, Monkey Nut, Kachang Goreng/Tanah in Malay. Etymology: The genus name Arachis comes from Arachidna for a clover with recurving, subterranean and fruiting heads. The specific epithet hypogea which means under the earth because the peanut pods develop underground. Origin: Native to tropical South America. It is widely cultivated elsewhere around the world. Plant type: An annual herbaceous plant. Features: Arachis hypogaea is from the genus Arachis that consists of 70 species of annual and perennial flowering plants. It’s a monoecious annual herbaceous and self-fertile plant with procumbent stems and can grow to about 0.5 m tall or long. It has a tap root. Like most other legumes, it has nitrogen-fixing nodules in its lateral roots. Its green leaves are alternate and pinnately compound, having an even number of obovate leaflets (each leaf usually has two opposite pairs with no terminal leaflet) measuring 3-7 cm x 2-3 cm. Like many other legumes, the leaves are nyctinastic, that is, they close at night in response to the absence of light. Peanut pods develop underground, an unusual feature known as geocarpy. Showy flowers are hermaphrodite and are pollinated by insects. They are borne on stalked inflorescence in axillary clusters on the stems above ground and last for just one day. The ovary is located at the base of what appears to be the flower stem but is actually a highly elongated floral cup. After pollination, the flower stem elongates and dips until the ovary reaches the ground, at which point continued growth pushes the ovary into the ground where the yellow fruit (peanut) develops into an indehiscent legume seed pod. The cylindrical pod is about 7 cm long. Each pod contains 1-4 soft seeds and each seed is covered in a thin, reddish-brown and papery membrane. 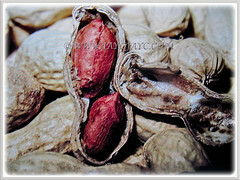 Although appearing as and referred to as a nut, it is actually the underground pod of a legume, rather than a true nut. 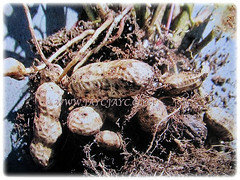 Culture (Care): Arachis hypogaea or Peanut can be grown easily with least maintenance. Soil: Fertile, loamy and well-drained soils. Others: Peanut plant has nitrogen-fixing nodules in its lateral roots. To ensure that your peanut plants thrive and create plenty of nitrogen, inoculating the seeds with these friendly bacteria is advised. 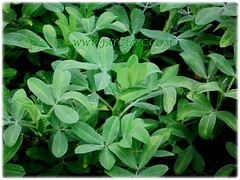 Peanut plant also need an adequate calcium supply, so apply agricultural gypsum beside the row just after the plants bloom to develop properly. Generally free from serious pests and disease problems. Nonetheless, peanuts are particularly susceptible to tomato spotted wilt virus, leaf spot and contamination during growth and storage. Poor storage can lead to infection by mold fungus Aspergillus flavus. For subtropical and temperate regions: Hardiness: USDA Zone 2-11. 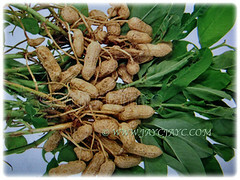 Arachis hypogaea or Peanut is now grown in tropical and warm-temperate regions worldwide for its seeds and their oil. It is best grown in areas with long warm summers. Peanut seeds can be planted directly outdoors in spring for areas with long growing seasons as they need 5 months of warm weather. In areas with short growing seasons, grow the seeds in pots or containers for indoor plants. For outdoor sowing, plant the seeds after danger of frost has passed in the spring. For indoor sowing, plant the seeds several weeks before the end of frost season in individual pots. Pre-soak the seeds for 12 hours in warm water and sow the seed in mid spring in a warm greenhouse. 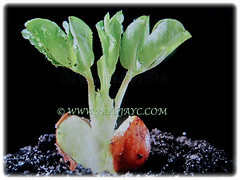 Peanut plant is ready to harvest when the leaves begin to yellow in the late summer or early fall. Dig or pull the plants and dry the pods outdoors in full sun for 4-7 days before separating pods from the plants. Usually, pods ripen 120-150 days after seed is planted. Propagation: Easily propagated from seeds that germinate within 2 weeks. 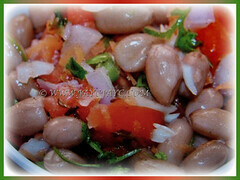 The seeds can be collected from fresh peanuts sold at local markets and sown in a large pot or in the ground. Usage: Grow Arachis hypogaea or Groundnut in your home garden for its ornamental flowers and to enjoy its edible seeds. The seeds of Arachis hypogaea or Groundnut can be crushed and used to produce cooking oil as well as used for salad dressings and mayonnaise. Peanut oil is often used in cooking because it has a mild flavour and a relatively high smoke point. Due to its high monounsaturated content, it is considered healthier than saturated oils and is resistant to rancidity. The remnants of the crushed seeds are used to produce groundnut flour that is used as a gluten-free solution. Seeds can also be eaten raw, boiled or roasted as snack food and are used in confections. Seeds are commonly ground up and used as peanut butter in sandwiches. Peanuts are also widely used in Southeast Asian cuisine where they are crushed and made into a spicy peanut dipping sauce for satay sticks. 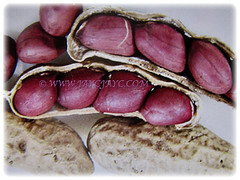 Groundnuts are frequently used in the manufacture of soaps and cosmetics. Besides, they are commercially used in the production of a number of non-food items such as textile materials, cosmetics, plastics, dyes and paints. The seeds, pods and whole plants are also a source of animal fodder, fiber for paper production and a green fertiliser. Young leaves and tips are suitable as a cooked green vegetable. The oil from the seed is aperient, demulcent, emollient and pectoral. The seeds have been used in folk medicine as an anti-inflammatory, aphrodisiac and decoagulant. In China the nuts are considered demulcent, pectoral and peptic, while the oil aperient and emollient, taken internally in milk for treating gonorrhoea and externally for treating rheumatism. Welcome! You are valuable to us and we love to hear from you. Leave us a comment or share your experiences. Also, please inform us if you find a broken link in any of our articles. Thank you. Copyright © 2006-2017 John&Jacq~s Garden.